Brighter and lighter than ever the new Nova-Strobe x series sets the standard for high intensity multi-function portable stroboscopes. Models are available with digital displays, battery or AC power, and a useful range of features which provide unmatched performance and value. Four models range from the Nova-Strobe dbx Deluxe the most versatile battery powered digital stroboscope with internal phase shifting, down to the Nova-Strobe bax Basic, the most cost effective AC powered digital stroboscope. 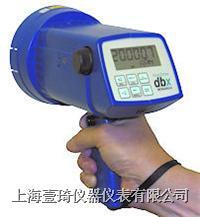 Both the battery poweredNova-Strobe dbxand AC poweredNova-Strobe daxprovide a range of 30 to 20,0000 flashes per minute and an accuracy of ?.002 of setting. Flash rates are easily adjusted to fractional RPM by a coarse/fine control knob. Individual TTL compatible input and output jacks are provided for `daisy chaining' of multiple strobes, triggering from an external source, or providing a trigger signal to external equipment. Both thedbxanddaxprovide internal phase shifting to keep the target precisely in view. Both provide x2 and ? capability for distinguishing actual RPM from harmonic frequencies. In addition, 6 user presetable memory flash rates for repetitive measurements and storage of the last flash rate measured are included. Thedbxbattery operated stroboscope weighs only1.9 lbs. (0.86kgs) and will run continuously up to 2 hours on a single charge. A fast charger is included and the percentage charge remaining may be displayed. ThedaxAC powered stroboscope (115 or 230 Vac) is designed for continuous cool operation, and weighs only 1.5 lbs. (0.72 kg). The newpbxphase shifting strobe has external phase shifting capabilities and flash rates to 50,000 rpm. 20% brighter than previous models - advanced switching power supplies run cool. Flash rates from 30 to20,000flashes per minute, adjustable in 0.1 step increments, the coarse/fine adjustment knob makes it quick and easy to set the exact flash rate you want. The all digital controlled microprocessor keeps readings rock steady. Internal phase shifting allows the target to be jogged clockwise or counter clockwise in 5?increments. Times 2 and divide by 2 push buttons allow easy checking for actual RPM, harmonics and allow stop motion far beyond the 14,000 fpm limit. Store and recall up to 6 user selectable values. Last measurement memory, even with the power off. A Tachometer mode allows accurate speed measurement up to 250,000 RPM using external sensors. Need higher flash speeds and external phase shifting?